VPN services offer encrypted connections for your network. What if you secure your home with smart locks, and hackers gain access to unlock the door? Scary…. No! The same instance took place with Apple’s HomeKit smart home system. Due to a bug in iOS 11.2, a hacker can unlock users’ smart locks or other devices. The hacker can also gain control of other HomeKit-enabled devices, which includes smart lights, plugs, and other gadgets. You need to opt for VPN services, which offer an encrypted as well as secure connections to avoid such IoT hacking instances. This bug mainly affected iPhone or iPad running on iOS version 11.2. If the HomeKit user’s iCloud account was connected to this type of device, then it was possible for the hacker to open doors that were locked with HomeKit enabled smart locks. Apple claims that the problem is now under control. However, instead of living with the fear of hacking, it is better to make the smart choice of VPN services. More and more people are opting for smart devices for their homes – smart locks, smart TV, and smart gadgets. At the same time, online threats are turning their head to break into IoT devices. Hence, the security of such devices is currently a hot topic. VPN services create a secure network when you are connected to the internet. A virtual private network, or a VPN, can’t solve all the security problems. But, a VPN is capable of addressing some of the major issues concerning IoT networks. IoT connected devices are vulnerable to external attacks, as some such devices within your home will need to access data from a website. Additionally, if you want to monitor and control them from the office, you need to access them remotely. Therefore, such remote accesses offer an inviting opportunity for hackers. 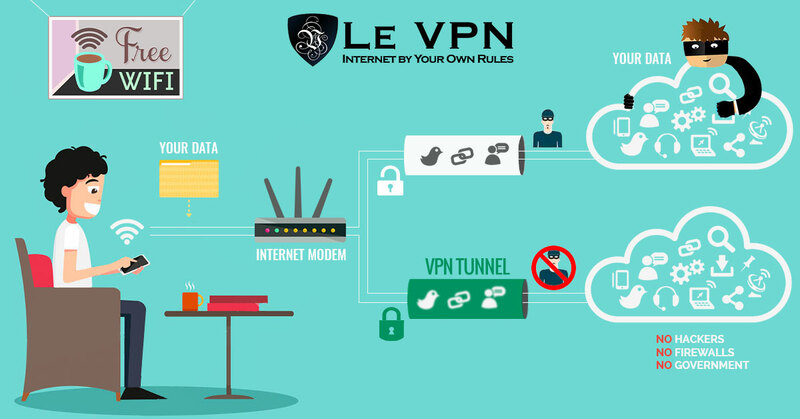 Le VPN is among the best VPN services to protect your IoT devices. Best VPN services create a safe network on the web. With this, your IoT connected devices can securely connect to the Internet. Additionally, no third party can see what is being exchanged within your smart devices. This will help you in having better online security. The very easy and affordable way to secure all your smart devices in your home is to set up a VPN router. This ensures the security of all IoT devices in your home. It provides an encrypted virtual channel which eventually helps in protecting the IoT connected devices. This will ensure that you do not lose any of your sensitive data. Le VPN is the perfect pick for a VPN service for personal use. We have quality servers across the globe. There are many reasons that people make use of Le VPN. With Le VPN, you are assured of online security, privacy, and anonymity. Additionally, you can unblock websites and TV shows, bypass geo restrictions, etc. and that too without revealing your identity. This is one of the best VPN services, which help you in overcoming internet censorship with ease. Le VPN’s VPN for Android is specially designed for Android smartphones. Simply download the Le VPN app on your Android device and ensure your online security and privacy on the go. It is very easy to set up VPN on Android. Subscribe to Le VPN. You have to download the app. Select the country and click on connect. Above all, Le VPN is very affordable. This is Christmas time. And you can get 2 years of Le VPN subscription only for $69.60. So, grab the offer and enjoy safer browsing.